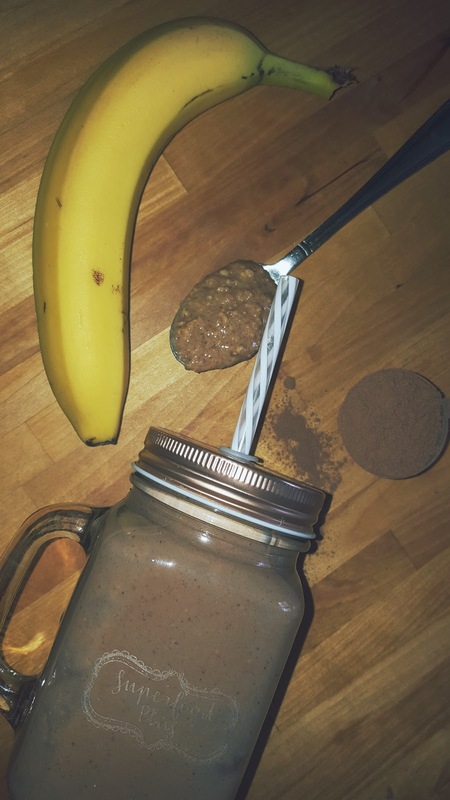 They kindly sent me some of the Chocolate SuperFood Plus and Vanilla UltraMeal powders’ to try out. Vanilla and chocolate… These are coincidentally my favourite flavours! !, especially in smoothies and milkshakes. How yummy! 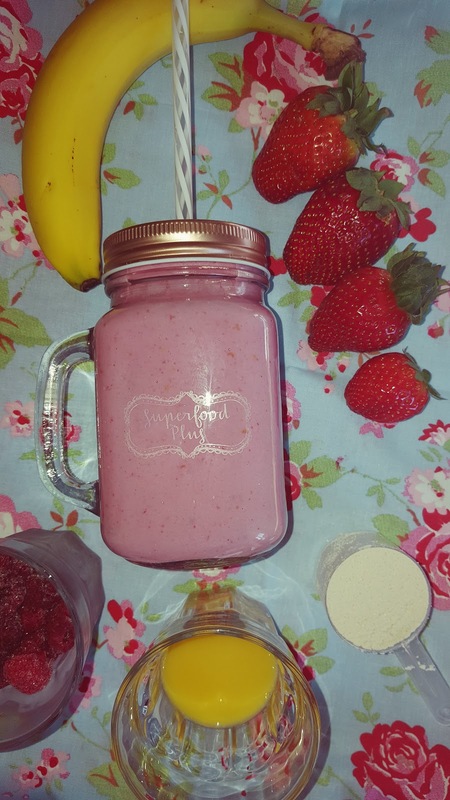 Drinking smoothies instead of my plain sandwiches for lunch, sounds like a fun plan to me! Especially as the Sun was shining so beautifully, (for a change!). 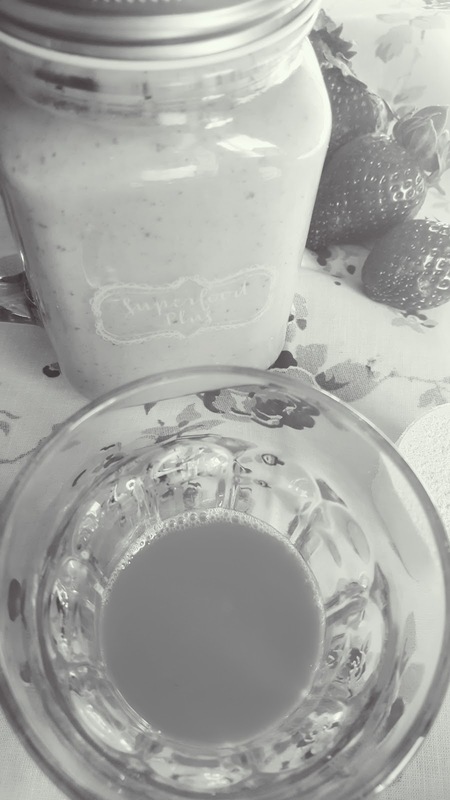 I was inspired to make a summer fruit smoothie with the UltraMeal Vanilla. 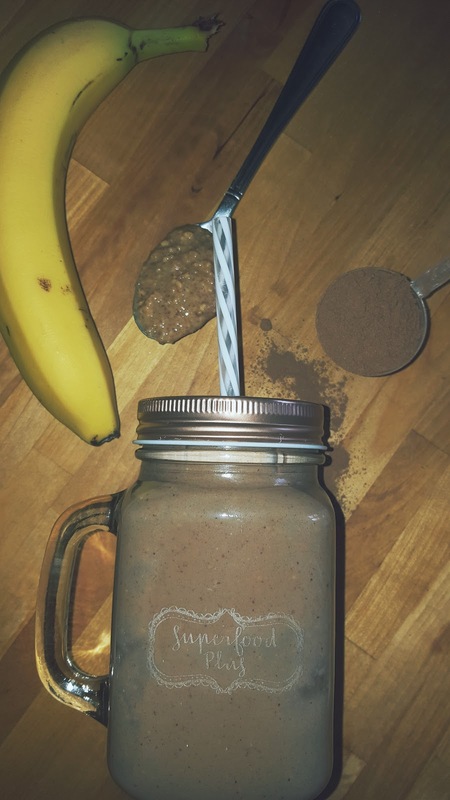 It’s a formulation that not only blends some of the most sought-after vegetables, fruits and supplements – including enzymes to support digestion, ginger, cinnamon, turmeric , green tea and reishi mushroom – but it also contains Chocamine®, a patented, standardised cocoa-based ingredient that has no fat, sugar or caffeine. The only sweetener is a touch of stevia. 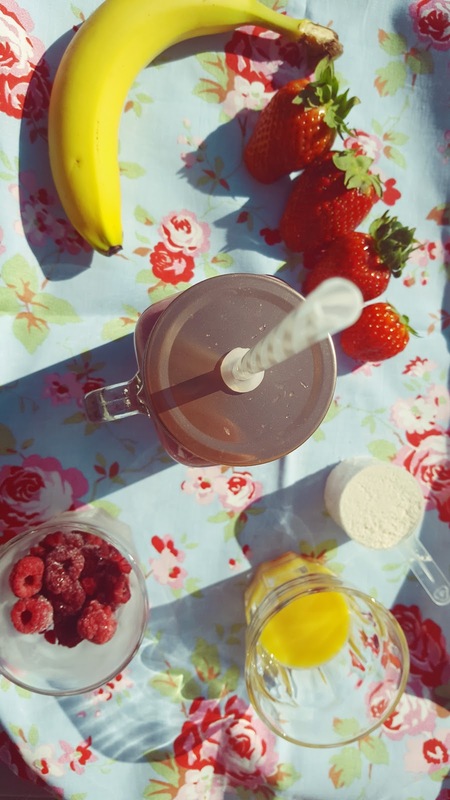 Mix it in with your favourite sweet and savoury dishes or get inventive and dream up something completely new. 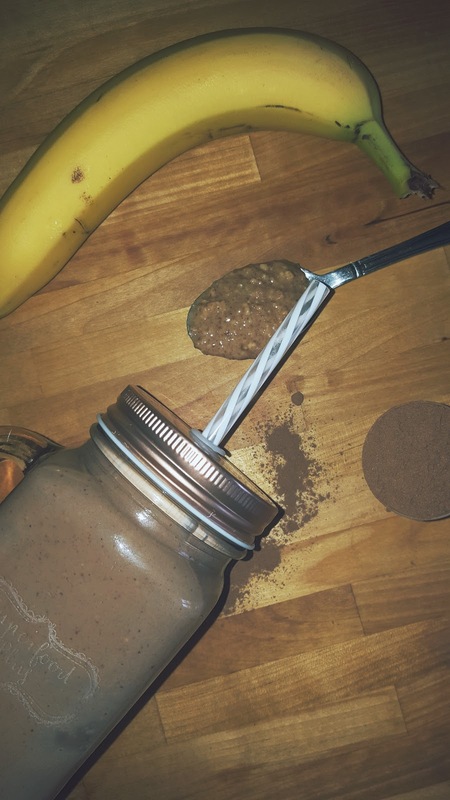 Keeping yourself topped up with goodness! SuperFood Plus is suitable for anyone aged 12 and over and can be taken daily. The only thing they would advice is that it is not to be frozen, or heated/cooked. 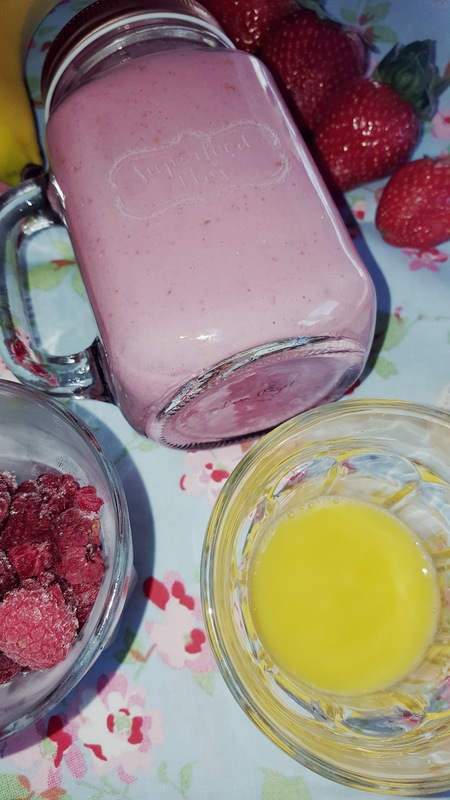 In a smoothie maker pop in the strawberries, raspberries, orange juice and semi skimmed milk. Mix again until all blended together nicely. 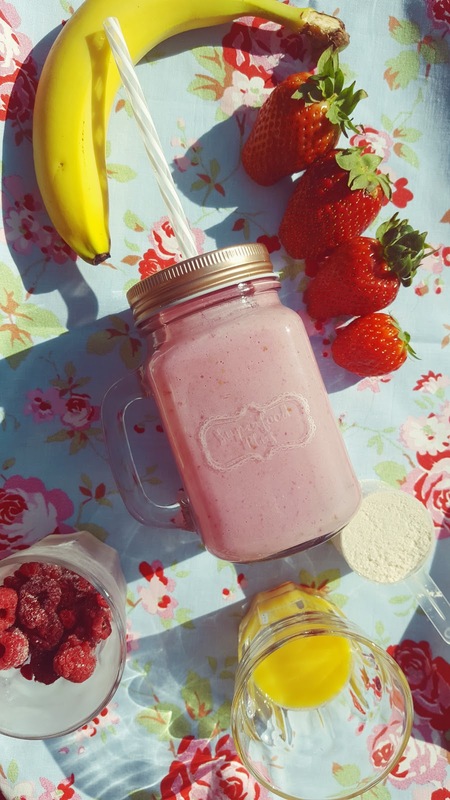 (Top-Tip) You may need to remove smoothie bottle and give a little shake to mix all powder. Then smooth again. 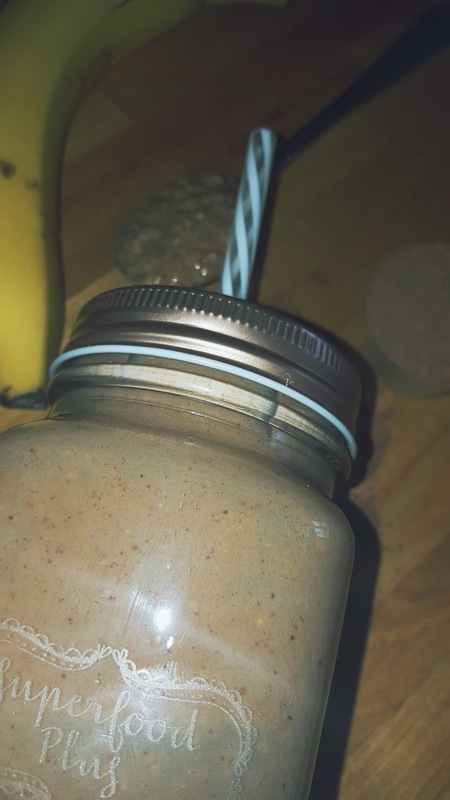 I have just made this yummy one up for lunch..
Pour your milk into a smoothie maker, add the chopped banana, a scoop of Nutri Superfoood Plus chocolate flavour and a large tablespoon of crunchy peanut butter. Blitz until all mixed in and serve straight away. 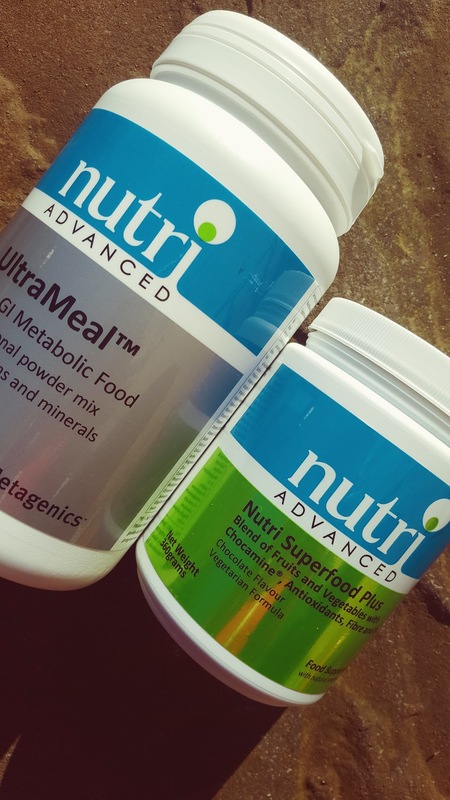 Big thanks to Nutri Advance for sending me the Chocolate SuperFood Plus and Vanilla UltraMeal. I am having a junk food week with the children off school over the Easter Break. However I cannot wait to start using it regularly after the school holidays. Which is when I will get back to the gym and on my mission for a 25 minute 5 KM race time.. I was sent some samples to make up a fun recipe with. All thoughts are my own. I was not paid for this post. Thanks for supporting the brands that I work with. "Blushing Forelles with Vanilla Mascarpone …"
Strawberry and banana is such a classic combination! Yummy!! 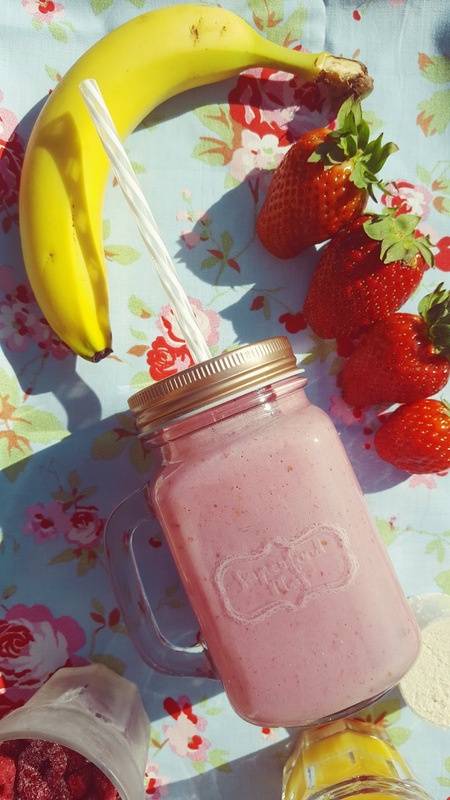 Your fruit looks so fresh and so do your smoothies! Wow, I have never heard of this before. It sounds like a great product. Have a terrific week! Mmmmm! These look wonderful! I am going to try the first one today. I have everything I need. THANK YOU!